Gretchen Valade is known in Detroit cultural circles as the philanthropist whose intercession -- $15 million worth and counting -- saved the city’s Labor Day weekend jazz festival in 2005. Fewer know that Valade, heiress to the Carhartt clothing fortune, is as busy in her ninth decade as she’s ever been, playing a role in everything from her boutique record label to real estate development in her hometown of Grosse Pointe Farms. As the 2012 Jazz Festival prepares to roll out a robust line-up -- Pat Metheny, Wynton Marsalis, Chick Corea, Sonny Rollins, Wayne Shorter and Terence Blanchard -- Valade, 87, sat down with Bridge at the Dirty Dog Jazz Café, opened four years ago in the Farms. She was joined by Tom Robinson, her lawyer and business partner. Bridge: The example you set (with the jazz festival) was as a well-to-do individual whose personal generosity saved a great institution. How did that come about? Valade: A friend, Bob McCabe, was with the original Jazz Festival. Henry Ford II started it, with McCabe and a couple others. (Ford) built the Renaissance Center to get people downtown. That worked for a while. Bridge: But eventually they needed money? Robinson: Because she had the record label, she wanted her artists in the festival, so the first year we had some artists in the festival; the second year she sponsored a stage; and the third year she became the title sponsor of the festival, because Ford withdrew. She told me, "Detroit can't have another black eye." Valade: Yeah, and I got all kinds of people saying you have to move it, change the date, charge (for admission). I wouldn't charge. All the families that come in there? At $5 or $10? They couldn't come anymore. Bridge: How long have you been a jazz fan? Valade: All my life. My sisters used to play Louis Armstrong, all the old-timers. When I was at finishing school (in New York), all I wanted to do was go out and hear Eddie Condon. Bridge: Do you play any artistic role in the record label? Valade: Oh yeah, I'm always looking (for artists). We go to clubs, in New York, different places. Bridge: We all know downtown Detroit is making a comeback, Midtown is coming back. Do you feel you can take credit for that? Valade: No. Detroit is going to come back whether I'm there or not. 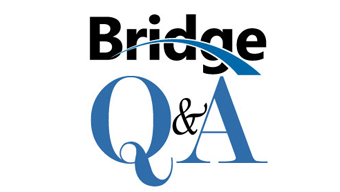 Bridge: What will bring it back? Bridge: Are you doing anything on that score? Bridge: Do you have any other ideas for downtown? Robinson: You know they tore down the Ford Auditorium (adjacent to Hart Plaza). She's trying, through meetings and conversations, to get them to incorporate that space into Hart Plaza, so that the festival could use that space. Bridge: How did the Dirty Dog come about? Valade: I had a florist shop here, and (after the tenants left), I was fiddling around with it, and someone said how about a wine club, and I said people get tired of that after a while. And then it hit me: Jazz. And a full bar. And then I got (Chef) Andre (Neimanis). Who is just wonderful. Bridge: What you're doing here is almost a throwback to an old style of entertainment -- the supper club, basically. Is that what you were going for? Valade: Yes. I had a lot of criticism about the jazz. I don't want to tell you what they said. Valade: Oh, dowagers. Grosse Pointers. One said, "My dear, aren't you afraid of bringing in the wrong element?" And I said, "I think I'm speaking to them right now." I was so mad. Bridge: When I was here recently, the bandleader said he thought this was the best jazz club in the world. He said you could get a champagne cocktail, and it was made with good champagne. Valade: Good. I'm glad he recognized it. Valade: … and get bored to death. Bridge: Here you are, 87, and you're running around to jazz clubs looking for acts, and you're running a very cool restaurant and a coffee shop and everywhere else. Are you having a great time or what? Valade: Yeah, but other times I could cry. We just lost an artist, Johnnie Basset. It hit me last night. Very sad. Bridge: What's your aim here? Valade: Not to be bored. And I'm not. And to be busy, and that's part of a long life. Kudos to Gretchen! I admire what she has done to 'raise the bar' of the Jazz Festival - reviving the true beauty of jazz....not to mention the venue. She is a true lover of Jazz and Detroit. AMF is correct - Gretchen Valade is truly interested in boosting Detroit and making jazz come alive. Gretchen has also generously provided many "little things" for us all, like repairing the fountain in Hart Plaza several years ago. Her heart is large and her head is in the right place. All my thanks to Gretchen for her untiring support of the Detroit Jazz Festival. I've been a volunteer working Backstage at the Festival for something like 20 years. Many volunteers have been volunteering at the Festival even longer than that. It's the height of my summer and I think thousands of other people would agree with me. Hope to see you there! Enough said. Just a follow up to my first posting---I spent almost twenty hours working at The Carhart Stage, Stage Left, Up Front about twelve feet from the Left corner of the Stage. Best seat in the house. I got to see Chick Corea, Gary Burton, Joe Loevano, Kenny Garret (hope I spelled those right) and The Preservation Hall Jazz Band. If the Jazz Festival this year is a sign of Detroit's comeback it's well on the way but we must work together to maintain the momentum. See you at the Festival next year God willing! And many thanks to Gretchen Valade. Enough said.